I had to bite a pillow the entire time I designed it. Ok, it turned out really cool. But I’m still freaked out. Dear roommates: I know you think this is funny, but can’t you at least wait until THE NIGHTMARES ARE GONE?? their cruelty knows no bounds… ee-excellent. Wow. I'm just impressed. I mean, I didn't even know you COULD design your won appliques. That's very cool. I am jealous. Very, very jealous. That is SOOOO cool. The design translated so well. You are so brave! 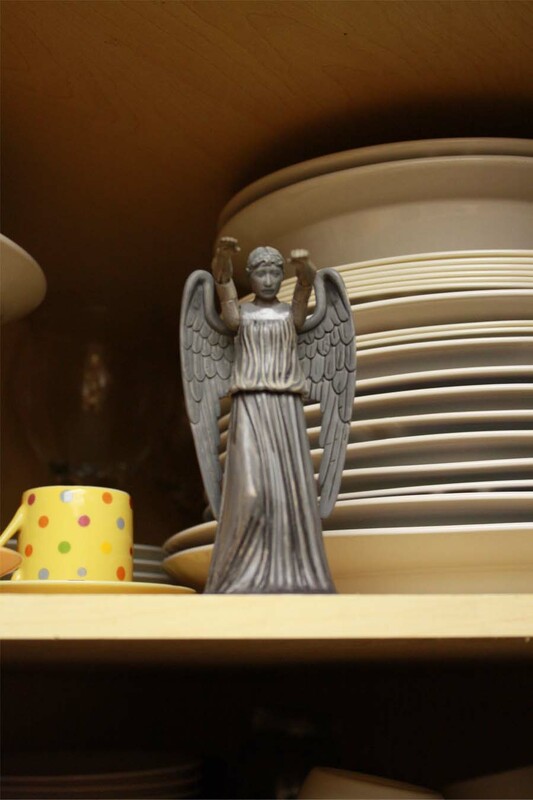 I think I need to go find a Weeping Angel action figure now. No matter what other toy they are facing, they will always win. Sweet! 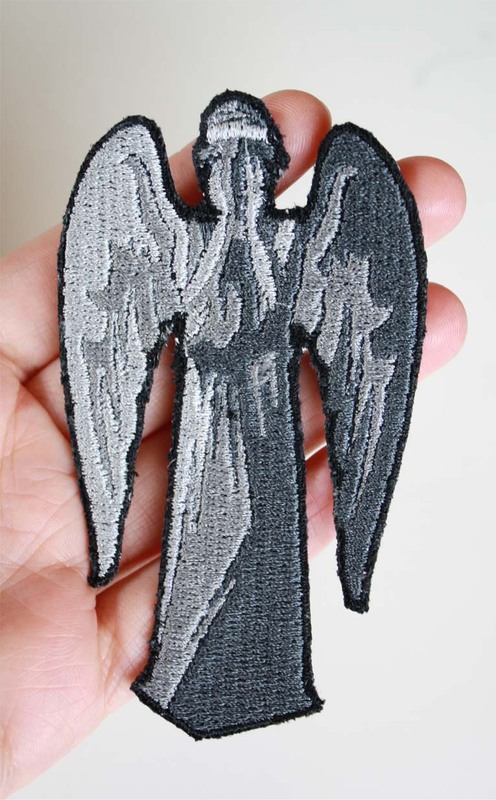 That is so cool, love the design, and your fear of angel statues. So you are going to sew that on you favorite jacket or bag now, right? Maybe next you should get a bedding set with that angel design. Wouldn't that be freaky? So very funny! I love your design. It's awesome. I've got a hold on your book at the library. I decided that, whilst waiting, I should google you and see if you'd written anything else. I've been reading back through your blog and chuckling and kind of wishing that I could be your friend. And, speaking as a mother who had to take her 11 year old to the MOA statue garden to help her overcome her crippling weeping angels anxiety ("Okay, now that you've gone and touched them, we will be sitting here with our backs to the statues and our eyes closed. Tell me when your anxiety gets back down to a five . . . "), I feel your pain.